Well Westbourne has done itself proud being nominated for a Public Affairs PR award for their campaign for high speed rail. 2 – anyone who says they have the remotest interest in rail is welcome to join in and be part of their campaign, as there is so little interest out there. 3 – they don’t care what gets built, where it gets built or at what cost – they just want to be seen as winners. Pre announcement they said if the Heathrow route gets announced then we must all be happy about it. 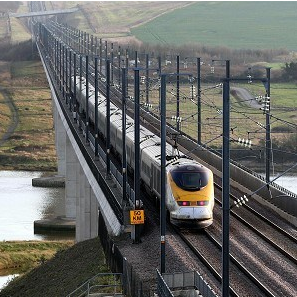 So no real commitment to the HS2 route and plans. 1 – they have had a banner on their website suggesting one million jobs from high speed rail. The “one million jobs” (imagine a Dr Evil style voice) was based on a range of best case scenarios happening in a number of cities (some not on the HS2 route) having a perfect outcome by 2020, years before HS2 will be running. 3 – their infamous “their lawns or our jobs” campaigns which insulted council tenants and home owners who face losing their homes, and over 2 years in have no sign of compensation or help. The adverts which depicted rich southerners in bowler hats and mansions, generated lots of criticism and official complaints from MPs and was commented on by the Transport Select Committee (and not in a good way). They failed to apologise. Maybe if they were honest they would admit the most affected areas are inner London council tenants – watch this film it sums it all up, is shortlisted for an award and guess what – it actually deserves it As the route spreads up North, people up North will also face losing their homes, communities and businesses – how will the Campaign for High Speed Rail spin that? The other angle of that campaign is the job side of things – suggesting that there will be jobs generated by HS2 up north when the DfT’s own documents clearly state 70% of the jobs HS2 generate will be in London. And of course Manchester (where they focused the campaign) won’t get a HS2 stop for 20 years+ and Liverpool (another calling point for the notorious campaign bus – they never seem to travel by rail!) never gets a station at all. 4 – they have totally failed to engage people (tax-payers) or businesses other than vested interests, shown by the fact that only 429 businesses in the whole of the UK bothered to respond to the consultation out of 4 million! And of public responses (except for some pre-printed postcard responses) there were hardly any pro HS2 responses. Seriously Stop HS2 should have been nominated for this award for branding, public interest and so on. Especially as they got 108,000 signatures against HS2 on a petition and dominate any media coverage. Which is why some in the concrete industry are lobbying hard for HS2! 6 – nowhere on their website does it mention that Westbourne run the Campaign for HSR – it mentions being an independent campaign and lists people that support them, but nowhere does it make it clear that the Director of the campaign works for Westbourne, so why not be open about it – if you are going to then take the credit for an award! What this campaign has shown is there is worrying access to government by lobbyists and an advertising budget used by and for a tiny proportion of the country who are working together to ensure tax payers money will be bank-rolling them and their interests for decades to come.